When Marilla and Matthew Cuthbert of Green Gables send for a boy orphan to help them out at their farm, they mistakenly get Anne Shirley, a feisty, independent, but warm-hearted eleven-year-old girl. Fortunately, her sunny nature and quirky imagination win the hearts of her reluctant foster parents and everyone in the community. But not a day goes by without some memorable adventure or prank in the tragicomedy of her life. Early on, for example, she accidentally dyes her 'cursed' red hair green. Later, in an effort to impress a neighbor she bakes a cake, but with liniment instead of vanilla. 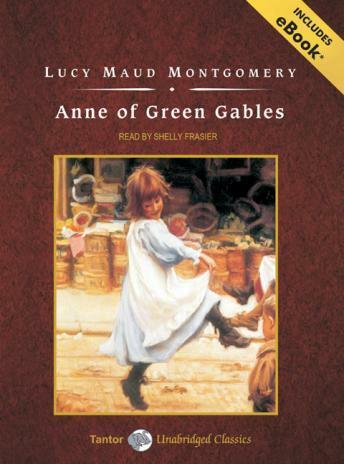 Lucy Maud Montgomery wrote that Anne is an extension of herself and represents the independent, 'new' woman of the emerging twentieth century. Individualistic, resourceful, and of a great humanitarian heart, she remains a great role model for girls and women today. Loved it! My daughter is 11 and she loved it. It is such a moving book. She is so imaginative.